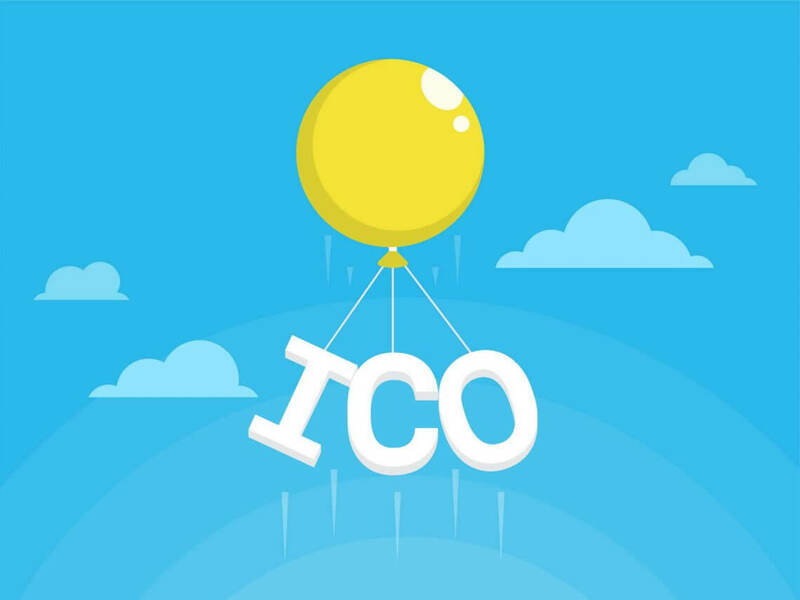 Cryptototem ICO's and Сryptocurrency What Are Initial Coin Offerings (ICO’s)? We’ve been talking a lot about ICOs. We’ve been hyping it up a lot, but what exactly are ICOs? Initial Coin Offerings, also called ICOs or ICOS, as some people call them, are basically getting the best of what are known as IPOs (Initial Public Offerings) in the business world on Wall Street, when a company goes public and lists their shares available to the general public, and they also take the best of crowd offerings from sites like KickStarter, GoFundMe, and AngelList. They get the best of both worlds; they fuse them together to create this disruptive innovation called Initial Coin Offerings. To kind of back step, ICO is when Blockchain company, it has to be Blockchain because that’s where it comes from, has an idea: a business or a project. They have an idea of building something on Blockchain. Blockchain product is typically an application. Examples could be Bitcoin, Ethereum, Stratis, which is blown up, by the way, if you don’t know. They have an idea that they want to build. However, as opposed to going and raising capital like typical businesses do from venture capital, angel inventors and private investors, they raise capital from the general public similar to сrowdfunds like KickStarter or GoFundMe campaign. The difference is that this is a specifically Blockchain company or product that they’re building. As opposed to giving you equity in their product or their company as they do with typical venture capital or angel investors, they give you tokens or cryptocurrencies in exchange for your money. As opposed to just purely giving the money in your typical crowdfunding campaign on KickStarter and expecting a product, the investors, when it comes to ICOs, don’t care about a product. They just want to get that token. They’re all about that token life. They want the cryptocurrencies, and they take those currencies. They invest and give them money, which is usually done in Bitcoin or Ether, which is the currency for the Etherium platform. In exchange of their Bitcoin or Ether currency, they get the currency for that particular project. For example, Stratis launched their ICO in 2016. Stratis is, basically, building C Sharp platform on top of the Bitcoin Blockchain. The idea was letting C Sharp developers create applications on the Bitcoin Blockchain without having to know C++, because they’re basically adding an abstraction layer or kind of like an API. Without getting too technical with it, it’s kind of like an abstraction layer to make it easier for somebody to write applications in a different language and translate them to the Bitcoin platform. That’s keeping things as simple as possible. What they’re doing is they’re basically building a translator to let you program in a different language on Bitcoin Blockchain. That was the idea. They raised funding somewhere in the summertime of 2016. They raised the funds and it was a very low ICO. I don’t have the numbers off the top of my head, but I believe there is about 2 million dollars, but, anyway, they take that money and, in exchange, give investors tokens called Stratis tokens. Investors purchase these tokens because if they believe in the project, or if they think that other people believe in the project, they anticipate the value of those tokens they have to go up in value over time. They are taking a chance, a risk, a gamble on this company, and they’re betting the farm. They’re maybe not really betting the farm but taking their chances expecting the value to rise. First of all, they’ve purchased these tokens at pennies on the dollar. Since they’re early investors, they got them at a discount. For example, you were able to purchase the Stratis tokens at less than 2 cents. I believe it was 0.017 cents per token in 2016. In less than a year, the price for one token of Stratis was $3.52. To show you how disruptive that is, if you had spent 5000 dollars during that ICO to scoop up as many Stratis tokens as you could, as building this C Sharp platform on the Bitcoin Blockchain is gonna change the world, and you put in 5 Gs on it. In less than one year, those 5 Gs would be worth over 1 million dollars. You’d be a millionaire. Just think about that for a second! $5000 to a million in less than one year. What other kind of investment can do that for you? Nothing, really. To kind of back step, ICOs (Initial Coin Offerings) are when investors or regular people like me and you spend our money to purchase tokens from a company or a project that hasn’t yet launched or maybe has a prototype. In exchange for our money, which is Bitcoin or Ether usually, they give us the token for their project or their platform. We hold on to them, and in about a week to a month or so, we can take our tokens. If we like, we hold onto them, and if we don’t like, we sell them on an online exchange similar to the investing sites like E-Trade, TD Ameritrade and other exchanges purely for cryptocurrencies like Bittrex, Poloniex where we exchange them for Bitсoin or Ether. Basically, we can sell them off or liquidate our investment. This is how ICOs work at a very, very simple level. Now, let’s go into what IPOs are to truly understand where ICOs come from.